No matter what business you are in, there is one key question you must know how to answer in all of your communications if you want to run a successful business. 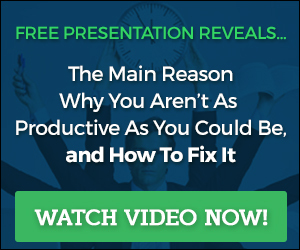 It is the key question that is on every one of your prospects minds. Those who answer this question the most effectively to the most people over a set period of time, are those who will win the most business within a niche. Your prospects are always asking themselves this question no matter what niche you are serving. The only reason individuals will hand over their money to you is if you can deliver on what you are promising. To be successful in answering this question you must keep these two specific things in mind. 1) Be sure that in all of your marketing communication that you clearly state who you are and what you stand for, so prospects understand your identity. 2) Be sure that in all of your marketing communication that you also state exactly what you can and will do for them, and how this will benefit them if they choose to hire you, or buy your product. If you need help coming up with this, I recommend you read my post on crafting an effective elevator pitch. When you sit down to create your marketing to sell your products and services, if you are not effectively addressing this question simply and clearly, you are going to have a serious challenge in getting people to positively respond to your offers. Thanks for the comment and sharing your elevator pitch Stephen! Looks great!